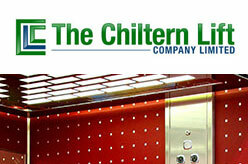 The Chiltern Lift Co Ltd is a Buckinghamshire based lift company offering all types of lift installations, servicing, repairs and emergency call outs. Oxfordshire, Buckinghamshire, Bedfordshire, Northamptonshire, Berkshire, Surrey, Hampshire and Greater London. Also provides bespoke lift projects to customers further afield and outside its normal service coverage area.